The much-publicised Opal Tower saga now enters its fifth week of uncertainty with 105 of the buildings 392 apartments declared “unliveable” and structural repairs potentially required on every level. 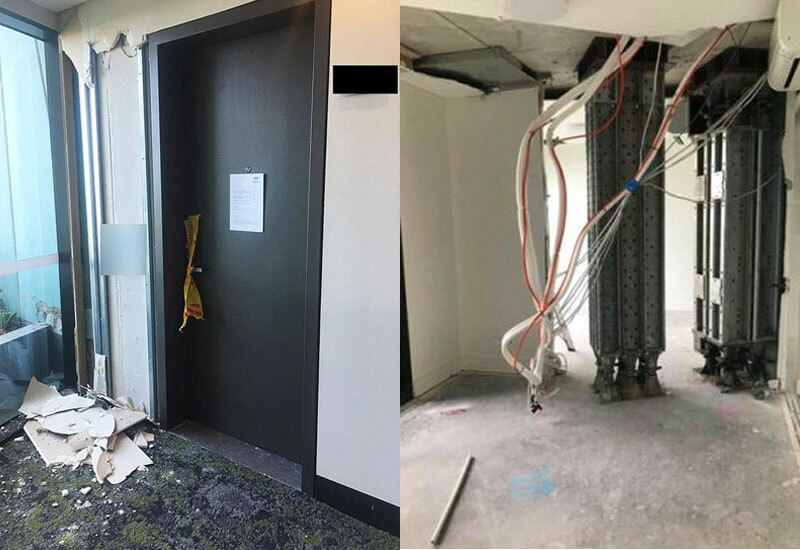 The newly-built 36-storey Sydney apartment building was evacuated on Christmas Eve after cracking in precast concrete panels was discovered on level 10, sparking fears that the tower could collapse. While the building has since been declared structurally safe, independent experts investigating the cracked tower have recommended all residents remain in temporary accomodation after being subjected to two separate evacuations. Residents were allowed back into the building within 24 hours after the cracking was reported, but on December 27 they were told by the developers the entire tower would need to be emptied again in order for investigations to take place. The saga has sparked widespread concerns about the quality of new developments and the approvals process behind high-rise apartment complexes in Sydney and across Australia. The Opal Tower at Sydney Olympic Park. The $128 million dollar tower, located at the southern end of the Olympic Park Parkview Precinct and part of the Sydney Olympic Park Master Plan 2030, is considered a State Significant site and did not require council approval. The site has a long and inglorious history housing chemical waste and up until 1976 was used to manufacture the ingredients for Agent Orange, a powerful herbicide. The site has since been heavily remediated land with toxic soil extracted as part of redeveloping the area for the 2000 Olympic Games. Sydney Olympic Park Master Plan 2030. The development, which accommodates 3,000 residents, includes a retail precinct and childcare centre for 80 children. The unique triangular-shaped tower was designed by Bates Smart and developed by Ecove Group after being selected by the Sydney Olympic Park Authority, who manages the site. WSP was selected as the structural engineer and Wood & Grieve Engineers were the hydraulic consultants for the building. The tower was eventually signed off by private certifiers McKenzie Group Consulting and completed in August 2018. 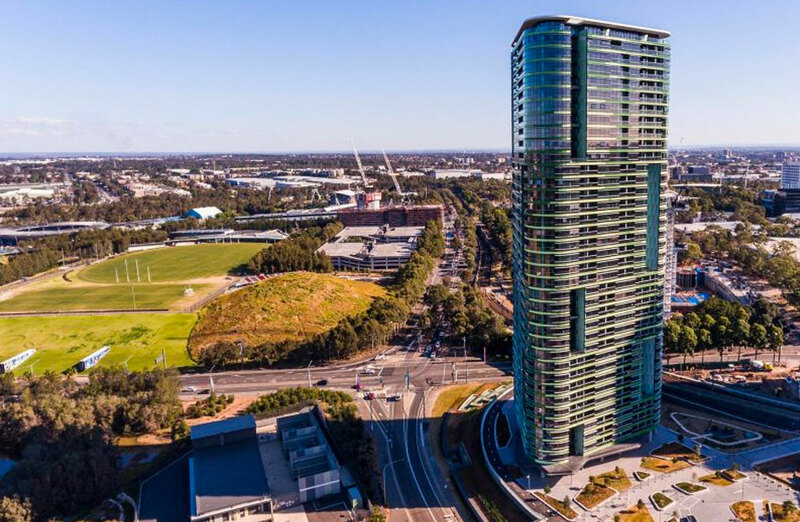 Opal is one of five residential towers to be built at Sydney Olympic Park by developer Ecove, which is also responsible for One30 Hyde Park tower in Sydney's CBD. Ecove completed the 216-apartment twin-tower Australia Towers I project in 2011, the 25-storey, 287-apartment Australia Towers 2 in 2014 and the 30-storey, 320-apartment One Australia Avenue tower in 2015. 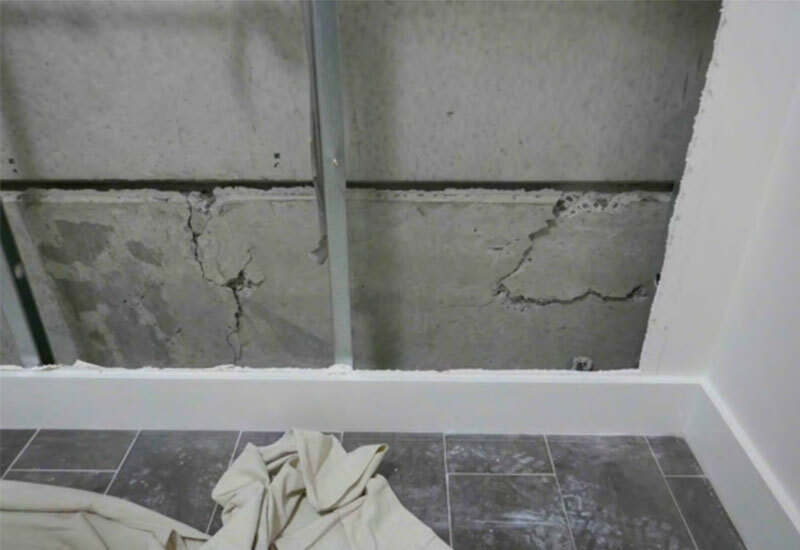 The worst of the damage was found on levels 10 and 4 where cracking occurred at a "connections between prefabricated and in situ poured concrete". Opal residents were evacuated after loud bangs were heard and cracks started appearing on the 10th floor on Christmas Eve. Fire and Rescue NSW and police attended the scene and after establishing the presence of a crack on Level 10 of the building, set up a 250-metre exclusion zone. The worst of the damage was found on levels 10 and 4 with levels 3, 9, 16 and 26 as well as basement level 3 also subject to investigation and potential structural damage. The main cracking on level 10 occurred at a "connection between prefabricated and in situ poured concrete", according to engineers. Opal Tower's garden slots have been central to cracking investigation. Structural failings had resulted above and below the “garden slots” – recesses in the facade where precast concrete panels joined structural columns. Investigators inspected more than 200 similar panels in vertical gardens around the building looking for similar damage. Bracing has since been installed as a “precautionary measure” to prop up those damaged areas, but the major work to fix damage on level 10 and level 4 remain ongoing. Owners have claimed there is more damage than Icon has admitted, including to apartments on the upper levels and the removal of belongings and furniture without prior approval. “I completely understand the residents' reluctance, in some parts, to move back in to what is essentially going to be, for some time, a building site,” NSW Planning Minister Anthony Roberts said. More than 300 apartment owners and residents face further months of uncertainty while others have been allowed to return to the building. An apartment in Sydney’s Opal Tower with the ceiling and flooring removed and propping equipment installed. An interim report, undertaken by three of the state's most senior independent engineers, Professors Mark Hoffman, John Carter and Stephen Foster was undertaken over a two-week investigation and released last week. The NSW government appointed engineers revealed concrete panels cracked due to their manufacture and assembly deviating from the original design. “We've outlined some matters which should be checked before residents are allowed to move back in. “We would recommend [Icon and WSP] have those matters investigated and checked,” Professor Hoffman said. They also questioned the location of reinforcing steel, a cut or incomplete steel bar in the area and overhanging precast panels. “There is compelling evidence indicating that the wrong size reinforcing bars were placed in this area during manufacture of this particular panel – 20mm diameter bars were used instead of 28mm diameter bars,” the report said. The post-tensioned concrete floors were designed by Australasian Prestressing Services and the precast wall panels were fabricated by Evolution Precast Systems. The engineers concluded that a “progressive build-up of load on the structure as the apartments became occupied” could have also furthered pressure on the concrete. Engineers agreed the building was “structurally sound” but that “significant rectification works” were required to repair and the building. “We thank the government for the preliminary findings of its independent investigation into Opal Tower,” Ecove director Bassam Aflak said. Many commentators have highlighted a “systemic” problem rife throughout the industry and have blamed Opal Tower's failings as the result of the privatisation of building certification. Much of the difficulty around regulating construction – and the consequent lack of accountability – lies in the fact that responsibility spills over state and federal government lines. Poor building practices continue to undermine confidence in the multi-billion-dollar construction industry, the strata management industry and in the planning system. The Opal Tower fiasco has put the NSW government under pressure with Better Regulation Minister Matt Kean quickly announcing a crackdown on rouge certifiers in an attempt to address the public's concern about the state's building certification process. The move by Kean to introduce sweeping reforms came in the wake of an interim report that found failures in the way the Opal Tower was designed and built. “There has been growing community concern about dodgy certifiers and, while the cause of the recent problems at the Opal Tower remains unknown, what’s happened there has put a spotlight on the industry again,” Kean said. Under the new strategy, 30 per cent of the industry will be audited every year and non-compliant or neglectful certifiers signing off on unsafe buildings will be kicked out of the industry. A register will also be made public to check a certifiers history and qualify their work. While there is no evidence that building certifiers have any link to Opal's cracked concrete panels it is important to remember certifiers play no role in assessing structural integrity.